It occurred to the biologist Stephen Jay Gould while he was in Vatican City that there are two forms of authority (if not knowledge) and that these two forms are derived from “the magisterium of science” and “the magisterium of religion” and that the two magisteria do not overlap. At the time of this formulation Gould was in Rome, accompanied by Carl Sagan, the sceptical astronomer, who had a deep “sense of wonder.” They were there to participate in a scientific conference. Sagan derided Gould for his suggestion (or concession) there is any knowledge in religion, knowledge at any rate that resembles the “real” knowledge that results from the work of scientists, that produces measurable results, and that can be falsified. Gould was miffed and wrote an essay about the disagreement. Aleister Crowley practised ritual magic the way Dorothy Clutterbuck practised the ceremonial magic of wicca. The Great Beast used to call what he did “magick,” and I seem to recall that he defined this practice as “causing change to occur in conformity with Will.” Crowley conformed to the image of the Black Magician. The White Witch may be seen in the person of Clutterbuck, who inspired Gerald Gardner, who gave much of the characteristic form and feel to the contemporary practice of Wicca, which is at home with the subtle forces of the natural and supernatural worlds. Both Crowley and Clutterbuck worked in “imaginal” realms. 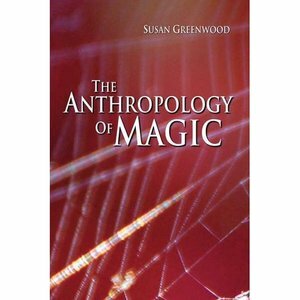 These ideas and notions were rattling around in my brain (or mind) when I began to read “The Anthropology of Magic,” which is a serious contribution to both anthropology and magic written Dr. Susan Greenwood, who is Visiting Senior Research Fellow of the University of Sussex, Brighton, England. She is scheduled to deliver the keynote address at a seminar to be held at Girton College, Cambridge, England. It takes place on May 13, 2010, and the title of the session is “Legitimate Forms of Knowledge?” (I imagine that the question mark is important in her address.) So Dr. Greenwood is a scholar. She is also a practitioner of magic. First, a note of “disambiguation.” Susan Greenwood is not to be confused with her near-namesake, Susan Greenfield. The former is an anthropologist; the latter is Baroness Greenfield, an Oxford scholar and a biomedical writer of considerable ability and media-savvy and the author of numerous works, including The Human Mind Explained, and other popular and not-so-popular texts. The two Susans are very able people, but the Baroness does not profess to be a magician. The Anthropology of Magic, written by the scholar who professes to read tarot cards and to practice the healing arts, is a big book in that it is an oversize trade paperback that measures 6 inches by 9.5 inches. It is only viii + 164 pages long but the type is quite small so there are many sentences. It was issued in soft and hard-cover editions in 2009 by Berg Publishers, an academic house based in Oxford that publishes books and journals in a great variety of fields with a specialty in modern design. Its website lists and describes its serious publications, including the present one. I imagine Dr. Greenwood to be a fine lecturer because she is a fine writer. I am tempted to say that for an anthropologist she writes with great clarity. Her sentences are crystal clear and the diagrams that she has added to the text to display contrasts between scientific and non-scientific modes of thought are ideal for PowerPoint presentations. She is one anthropologist who is interested in communicating with a public that is academic though not limited to fellow anthropologists or magicians. In this regard she reminds me of Susan Blackmore, who in her shift from espousing parapsychology to embracing scepticism has never ceased to be a psychologist and a scientist. Like Dr. Blackmore, Dr. Greenwood is an enthusiast and a participant who is willing to advance atypical views. But the two academics are unalike in that Dr. Blackmore works as an experimental psychologist and follows the trail of the evidence (or lack of it), whereas Dr. Greenwood is a theorist and not a scientist who is concerned with finding a place in intellectual discourse for what is regarded as the irrational. Dr. Greenwood is arguing a case, and she argues well, but after a while the reader – this reader anyway – begins to feel that he is being led to face a series of foregone conclusions. In the next paragraphs, I will summarize the contents of Dr. Greenwood’s book and thereafter offer an evaluation of her approach. Now I will begin with the Table of Contents which neatly outlines the subject – which I take to be how an anthropologist argues that we could look at magic as a source of knowledge, and if knowledge is a form of power, then as a source of power too. So much for the arrangement of the contents of the book. I will now try to abridge the author’s Introduction, introducing some of my own impressions along the way, but downplaying to some extent the author’s great strength: her knowledge of and respect for the theories and insights of the great anthropologists of the past and the present. She argues that the discipline has always had to deal with the subject of magic and that the approaches that anthropologists have taken in the past have told their readers more about themselves and their societies than about the theory and practice of magic itself. As well, it seems, the conception of the nature magic has changed with the times. There are two main problems: the “ultimate irrationality of magic” and its “inferiority … when compared to science.” Nevertheless magic lies “at the heart of anthropology” because of “the issues it raises in relation to human experience.” If it lies at the “heart” of anthropology, it lies at the “heart” of men and women too. We seem to be creatures who are able to respond to the world both magically and scientifically. The author writes, “The time has come to propose another understanding of magic, and it is the aim of this book to examine magic as an aspect of human consciousness.” She is prepared to show how it affects “everyday conceptions of reality” and how it can be “an analytical category as well as a valuable source of knowledge.” Perhaps I am taking this further than the author does when I suggest that to her magic offers a way of knowing about ourselves in the world through the imagination, a way of knowledge that augments the way we generally know the world of matter through measurement. “When I first started my doctoral research in the 1990s, I made the decision to study magic from the inside, as a practitioner of magic as well as an anthropologist. I wanted to discover what could be learnt through direct experience.” She explored the ramifications of this approach in her two previous books, both published by Berg: “Magic, Witchcraft and the Otherworld” (2000) and “The Nature of Magic” (2005). She writes, “The approach taken here focuses on _magical consciousness_, a term that I use to describe a mythopoetic, expanded aspect of awareness that can potentially be experienced by everyone …. ” Despite the importance of this mode of knowledge, magic has been marginalized in what she calls our “Western rationalist culture.” The writings of Tylor, Kroeber, Freud, Durkheim, and others are mentioned to demonstrate how magic has been dismissed as deluded, dangerous, deceitful, or dumb. Many people feel (at times anyway) blessed, but anyone who is able to bless is a magician. It would seem the poets are there with the magicians. A consideration of the truths or insights that come to us through the medium of poetry is offered through a brief but relevant discussion of Donne’s poem “A Valediction: Forbidding Mourning.” Yet only one page is devoted to the nature of consciousness itself, despite the advances recorded in the 1990s by neurologists and philosophers into the mind / brain division in the field of “consciousness studies.” I guess these are not subjects regularly discussed by anthropologists, nor should we expect them in a book about the “anthropology” of magic. Some subjects do not yield their secrets to logic and this is one of them, so with relief she switches into a visionary mode. She begins one paragraph, “I remembered a dream I had had previously in which I was climbing down a deep tunnel in the middle of the earth …. ” The dream continues and it involves a loss of skin, a round space, swimming in water, narrow tunnels, bones being picked by a large crow, etc. This is a fertile field for a Freud or a Jung! I have maintained a daily dream diary for the last five years, so I can attest that one’s dreams are significant to the dreamer but seldom meaningful to anyone else. These motifs in the dream world may or may not be relevant to the waking world. She concludes, “This experience had a profound effect on me,” and I do not doubt her, but was it an “imaginal experience” as she suggests? Not in Corbin’s meaning of that word. A dream is an experience, but it is the experience of an illusion, and no special effects necessarily issue from it. Are any such illusory experiences meaningful and significant? I doubt it but the subject may be debated and Dr. Greenwood does debate it well. Psychology is not much to the fore. I read Tanya Luhrmann’s Persuasions of the Witch’s Craft when it appeared in 1989, but in the intervening years, I have found little reason to recall its argument. Luhrmann found magic or Wicca to be rich in psychological insight, period. Dr. Greenfield finds it to be rich in many other fields as well. The great anthropologist Frazer is given his due, limitations and all, for he was the Darwin in his field. One upon a time, à la Frazer, there was magic which gave way to religion which gave way to science. Given the paradigm shift proposed in these pages, it seems science may now yield to religion and religion to magic. Perhaps “paradigm shift” is the wrong phrase to use here, for there are no references in the text to Kuhn and his theory of just such a shift. So much for the Introduction. If I continued to try to paraphrase and comment in such detail on the balance of the book, I would produce a tedious review too long to be read in a single sitting, and I would do the author’s thesis less than justice. Instead, I propose to do something unusual and allow the author to make her major points in her own words. I will do so by quoting the four paragraphs that the author has written to outline her argument section by section. These are well handled. I should add that the book includes extensive source notes and an index. There is no general bibliography but there are short bibliographies for “further reading.” There is no section called Conclusion, but I soon came to the conclusion that none is required for what the author would have to say in any final section is a foregone conclusion. Dr. Greenwood is appreciative of the anthropologists of the past who devoted their lives to fieldwork. I imagine she regards her own experiences and the effects they have caused in magical circles as a form of fieldwork. She sees the great anthropologists’ insights into shamans and magical journeys as transferrable to today’s witches and their imaginative encounters. In this undertaking, she wins on points because she is what the French describe as “parti pris.” She knows where she stands and that is where she is heading. The reader is not taken on a journey so much as allowed to explore the intellectual ground already claimed. So her study does not add to human knowledge but it does examine some of our preconceptions of the nature of that knowledge. There is a short but interesting section devoted to the relationship between mythos and logos. I wish it were longer and that it took into account the conception of that connection in the analysis of Northrop Frye who found the relationship to be one of “interpenetration.” But to do so would have required Dr. Greenwood to enter into the woods of the archetypal world of Nemi that is more frequented by literary critics and analytical psychologists than by anthropologists and ethnologists. As well, the author spends some time with phenomenology, she never really exorcizes its demon of subjectivity, even misspelling that word on page 141. Yet I find “The Anthropology of Magic” to be an eye-opener of a book, not so much because of what or how it argues, but more because of the position for which it argues: the postmodern notion which is rapidly gaining ground that it is not necessary to believe in anything. Near the end of the book she writes, “Whilst participating in a magical aspect of consciousness, the question of belief is irrelevant: belief is not a necessary condition to communicate with an inspirited world.” What works, works. William James’s contribution to the notion of multiple consciousnesses – not just to multiple layers of consciousness – is acknowledged, and as a pragmatist he would have agreed. So would Niels Bohr with his horseshoe. How Can I Make Better Observations? Jeanne de Salzmann’s "The Reality of Being"
JOHN ROBERT COLOMBO INTRODUCES PAUL BEEKMAN TAYLOR’S NEW BOOK "REAL WORLDS OF G.I.GURDJIEFF"
JOHN ROBERT COLOMBO reviews "OF THE LIFE ALIGNED"
WAS LORD PENTLAND AN "EMINENT GURDJIEFFIAN"? DON'T TRY TO ESCAPE – Wake up in it! WHERE ARE THE GURDJIEFF GROUPS HEADING? The John Robert Colombo Page: DAVID KHERDIAN’S "SEEDS OF LIGHT"